Lora Kavanaugh earned her B.A. in Psychology and Sociology from Ohio University. She has more than twenty years of experience teaching, tutoring, and working with children. 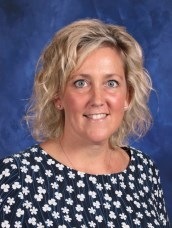 For the past five years, Lora has been teaching the 1st and 2nd grades. Lora has recently completed the language-based Orton-Gillingham Foundations course, which is a multi-sensory approach to learning. She has taught tennis, coached multiple basketball and baseball teams, has been active in Big Brothers/Big Sisters, and as a victims’ rights advocate. She is the mother of three boys, ages 11, 8, and 6, who attend Canton Country Day School. Lora loves reading, cooking, playing sports, and spending time with friends and family.